Your order will ship MONDAY if placed in the next 2 hours 57 minutes . Enter your shipping address zip code to receive an instant delivery date estimate from UPS. 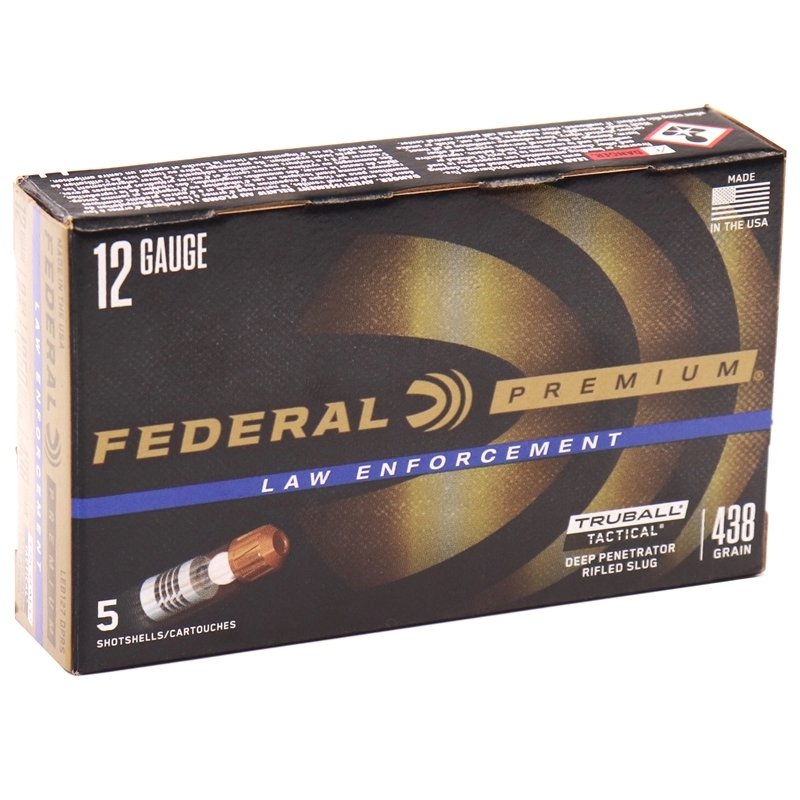 Federal Law Enforcement 12 Gauge Ammo 2 ¾” Tactical TruBall Deep Penetrator Rifled Slug ammo for sale online at cheap discount prices with free shipping available on bulk 12 Gauge ammunition only at our online store TargetSportsUSA.com. 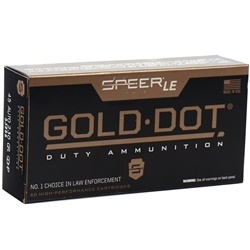 Target Sports USA carries the entire line of Federal Law Enforcement ammunition for sale online with free shipping on bulk ammo including this Federal Law Enforcement 12 Gauge Ammo 2 ¾” Tactical TruBall Rifled Slug. Federal Law Enforcement 12 Gauge Ammo 2 ¾” Tactical TruBall Rifled Slug ammo review offers the following information; For nearly a century Federal Ammunition has put its focus on manufacturing quality products with cutting edge technology. This dedication to excellence has given Federal a competitive edge as an ammunition technology giant. Today the company is well known for producing high grade centerfire, rimfire, and shotshell ammunition that shooters everywhere know and trust. Law Enforcement 12 Gauge from Federal features a Tactical TruBall Rifled Slug that allows for improved accuracy compared the smooth bore shotguns. TruBall works by locking components together, causing the slug to center itself in the barrel. With this system, 2” groups can be hit at 50 yards, which is exceptional for sabot slugs from a rifled barrel. Federal Tactical Slugs also feature an all brass head for improved extraction and ejection and a blue hull for easy visual identification. The TruBall Rifled Slug ushers in a new generation of rifled slug systems and provides the confidence you need in any situation, whether it be that buck of a lifetime or protecting your family The Federal Law Enforcement Tactical Slug is low recoil and has a muzzle velocity of 1600 feet per second. Federal 12 Gauge ammo is packaged in boxes of 5 rounds and cases of 50 rounds. Free shipping is available on bulk case orders of this Federal Law Enforcement 12 Gauge Tactical TruBall Rifled Slug. Law Enforcement 12 Gauge from Federal features a Tactical TruBall Rifled Slug that allows for improved accuracy compared the smooth bore shotguns. Federal 12 Gauge ammo is packaged in boxes of 5 rounds and cases of 50 rounds. A bit of a handful out of my Shockwave and TAC14 Hardwood, but very usable ammo and it will get the job done. Performance was as described, great round.